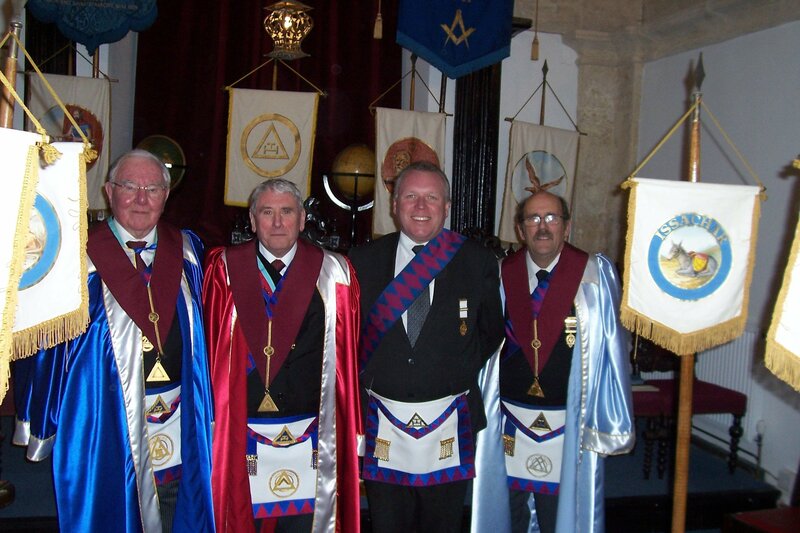 Meeting at The Masonic Hall, Church Street, Bradford-on-Avon, Wiltshire. The Chapter meets at 6.30pm on the third Wednesday in January, March, May and November. From Lodge to Chapter and he didn't need to move! Wiltshire Freemasons support a number of local charities with many of them having a very emotional connection. This was certainly the case when a member of the Lodge of Friendship and Unity which meets in Bradford-on-Avon asked members to donate some money to Bristol based charity Cots for Tots. When a baby is sick, no parent can imagine being anywhere else but by their side and with babies coming from all over the South West for treatment at St Michael’s, Bristol, the need for convenient, inexpensive accommodation is absolutely essential. 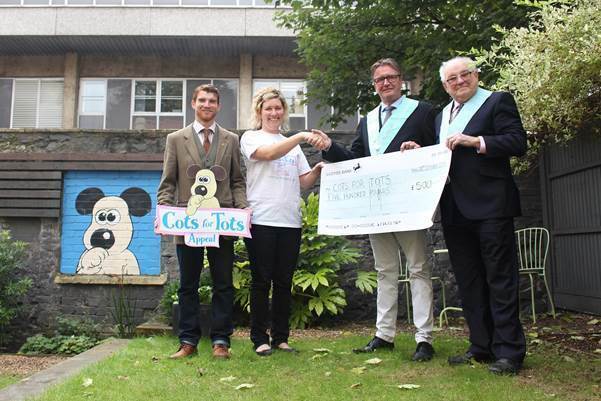 Cots for Tots House, is a 12-bed family accommodation unit, providing a free home from home for these families. Just a short distance from the Hospital, Cots for Tots House takes away the stress of expensive fuel bills or hotel rooms and hours lost travelling, meaning families can simply be there for their loved ones, day and night. Freemason Anthony Bonner was really grateful for the facility when his daughter Trixy was in the neonatal intensive care unit. The Master and the Almoner of the Lodge recently visited the charity and presented a cheque for £500 to Chloe Headdon of Cots for Tots.